Video surveillance is common in the workplace in order to deter thieves. But many employers also use video surveillance to monitor the activities of employees during work hours. What are your rights as an employee? Employees in the retail sector are usually familiar with having video surveillance in place as it is a standard deterrent for customer theft. Stores and establishments will have cameras placed in strategic areas throughout the store, such as near the front door and the cash register. However, some employers also use hidden cameras in order to detect if employees are stealing money from the cash registers. Some employers may also have hidden cameras installed in the changing rooms or bathrooms of the workplace, at times due to those areas being used to commit crimes or unruly acts. A 2007 study by the AMA (American Management Association) indicated that roughly 50% of employers surveyed used some type of video surveillance in the workplace in order to protect against customer violence, theft or sabotage. Roughly 7-16% of those employers using video surveillance were also monitoring the performances of their employees. With regard to employees of federal, state and local governments, the Fourth and Fourteenth Amendments of the United States Constitution protect government employees against unreasonable searches and seizures conducted by their employers. Monitoring of an employee by a public employer might constitute an illegal “search or seizure" under the Fourth Amendment if it extends into places where an employee would have a "reasonable expectation of privacy.” This standard provides a justification for searches, which balances the employee's interest in their privacy versus the employer's interest and need to conduct the search. In general, this protection of privacy under the U.S. Constitution is not afforded to employees in the private sector. However, some states have enacted laws that provide privacy rights to private sector employees. The law used to determine whether video monitoring or filming can legally take place at the workplace is the state within which the video monitoring is taking place. So if an employee lives in New Jersey but works in New York state, the law of New York state would be used to determine state privacy rights afforded to the employee on the job. Employees in the private sector typically need to rely on protections offered by state constitutions, which are usually not as generous and wide in scope as the United States Constitution. Other laws which may apply to the private sector include Title III of the Omnibus Crime Control Act and Safe Streets Act of 1968, which is the set of rules regulating government and private employers who choose to monitor the communications of their employees. The Electronic Communications Privacy Act of 1986 (ECPA) covers the interception of wire, oral, or electronic communications, including the use of telephones, cellular phones, video mail (vmail), email and general video monitoring, whether using standard local recorders or using the Internet. However, the ECPA does not cover general monitoring that doesn’t include the communications component such as recording computer keystrokes or videotaping without sound. In general, an employer may listen into calls an employee receives from a separate and private extension. Much of this is justified as an ECPA exception, where an employer can listen into a call to monitor the quality of service of the business provided by the employee and to prevent unauthorized telephone usage. You may often hear an announcement at the beginning of a call that states "this call may be monitored for quality control purposes" - and now you know why this is done. This monitoring exception is lost the moment an employer determines that a call is personal in nature and not related to the business. The employer is then not permitted to eavesdrop to hear the private details of the contents of the call. Employers are generally recommended to make sure that the purpose and the scope of employee monitoring is conducted in a manner that clearly remains within the ordinary course of business. It is essential to establish a clear, written company policy and to provide the details as to how personal telephone calls are to be handled. Regardless of whether state laws exist, employers are generally prohibited from filming or videotaping employees performing fundamentally private activities such as using the restroom. When there are no specific laws in place in a state which would prevent video surveillance in a given situation, a court will look at the facts and factors of the case. A decision will be based upon whether the employer had a valid business reason for conducting the surveillance and balanced against the reasonable expectation of privacy by the employee. In general, there is no valid business reason for an employer to take video of employees getting changed or using the restroom, which are activities that the employee would have a genuine expectation of privacy. Some states, such as California, have specifically enacted laws making it illegal to install one way mirrors in a shower room, changing room, restroom, bathroom or locker room. The state of Connecticut does not allow video surveillance cameras to be placed in any areas where employees are at rest, which includes locker rooms, restrooms and also employee lounges. In general, it is also prohibited for an employer to eavesdrop on or take a secret video of a union meeting. Information about state laws surrounding privacy in the workplace can typically be found on the website of your state labor department, the National Labor Relations Board (NLRB) or from an experienced labor lawyer. More information can also be found on this site concerning workplace monitoring, privacy and confidentiality rights. Michael M. Wechsler is an experienced attorney, founder of TheLaw.com, A. Research Scholar at Columbia Business School and of-counsel to Kaplan, Williams & Graffeo, LLC. He was also an SVP and chief Internet strategist at Zedge.net and legal consultant at Kroll Ontrack, a leading service e-discovery and computer forensics service provider. Understand what you need to know to prove an employment discrimination lawsuit, including wrongful hiring and promotion practices at work. Can you limit the kind of job reference provided by a former employer? What if you think your boss doesn't have good things to say about you? What can you do? Understanding "stop and frisk" and "search and seizure" law, reasonable suspicion v. probable cause, racial profiling, illegal stops, Terry Stops and more. Riding the confusing New York MTA Select Bus Service can easily result in wrongful $100 fare evasion summonses being issued. 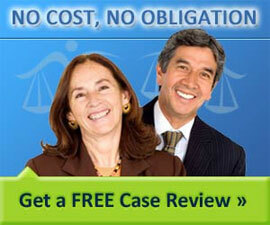 Here is why I'm taking this case pro bono. Learn about the crime of fraud and misrepresentation, criminal charges and civil law, fraud detection tips and what to do if you've been a fraud victim.